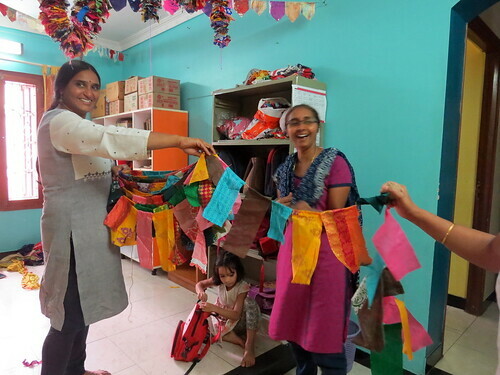 All schools have festive occasions when the parents and children celebrate with the school. 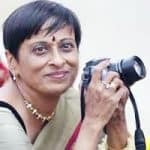 But at Magic Puddles, a playschool in J P Nagar in Bangalore, the annual mela this year, on the 5th of December, 2016, recycled a lot of stuff that would otherwise end up in waste dumps. Each of the groups of children were given different skills to learn, and it’s interesting to note how recycling formed a part of this. 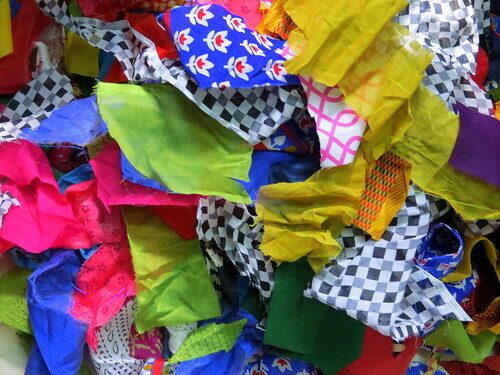 Some children, for example, were taught how to make “thorans” or hangings; the colourful scraps of cloth for this activity came from the waste material generated in a tailor’s shop. Larger pieces were used to teach the children how to stitch cloth bags and plait long strips together to make handles for the bags. 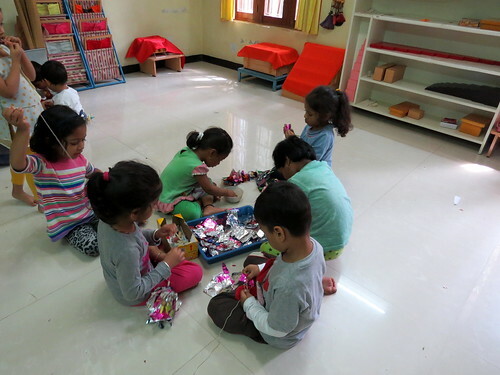 “Through the year, we get sweets and chocolates on the children’s birthdays,” says Nandini. 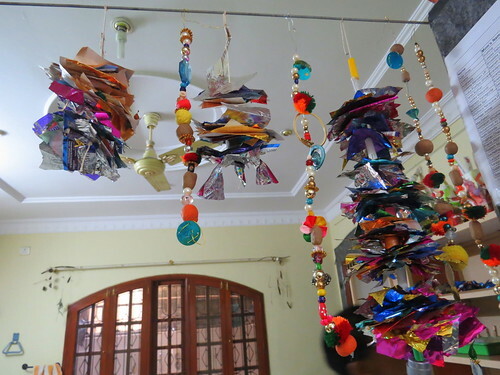 “Instead of throwing them away, we have collected them, and the children have been learning how to string them up.” Old felt pen caps, too, were used as “pipe” elements in these colourful strings that were hung up and which decorated the building doorways and windows. 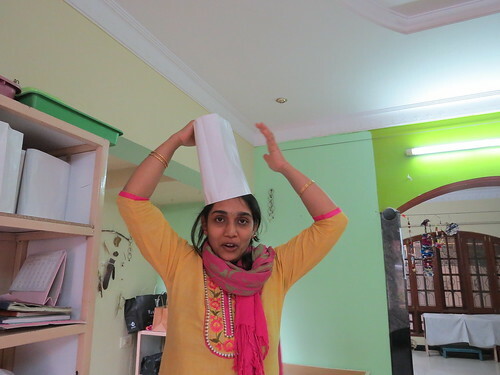 One group of children learnt how to process the various ingredients for bhelpuri and make the snack. And since they were using them, they also did some gardening, growing chillies, tomatoes, onions and coriander. 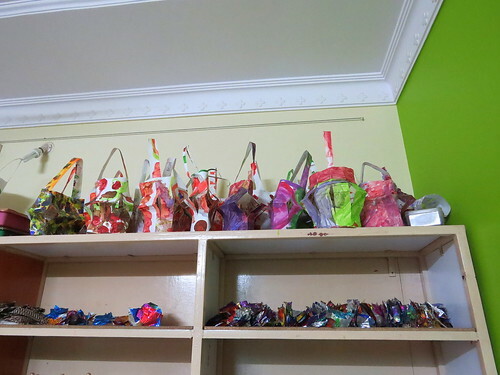 Some children learnt how to make paper covers and box bags from waste paper, and others, sous-chef caps from paper, too. 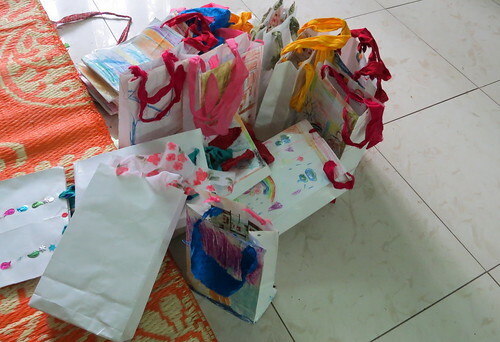 They decorated the bags themselves…even pista shells brought by one child were used. 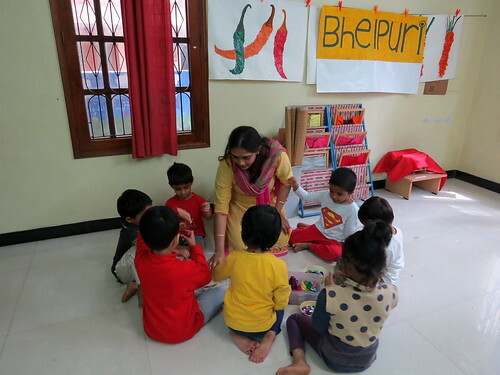 All of these skills have also been turned into songs describing them, and teachers like Chitra, Sandhya and Deepa helped the children sing them as they worked. The parents heard these songs on the day of the mela. 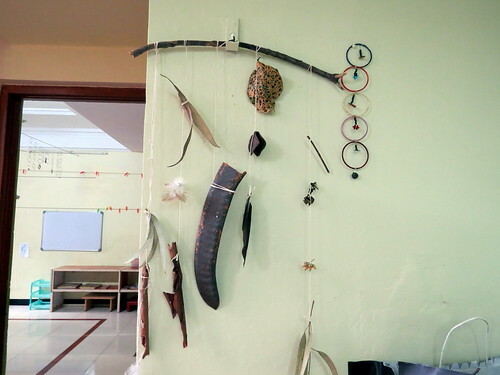 Here is one mobile, made from leaves and other things collected from a nature outing. It was very satisfying to see such an innovative, no-waste way of celebrating a festive occasion (not attuned to any particular festival) with both the children and parents being involved. I do hope there are many playschools like this, which are integrating recycling into their festivities. 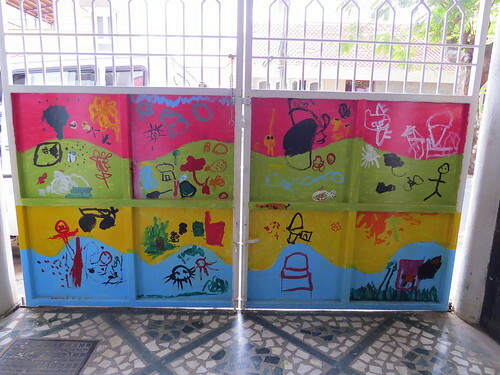 Here’s the front gate, painted by the children.